Baidu is embarking on the market of devices carrying artificial intelligence with three products, including a funny robot. Baidu, the Chinese Google, intends to compete with high-tech giants in the field of artificial intelligence. To achieve this, he has bought Raven Tech, a start-up that has developed a competitor of Amazon\’s Alexa in Mandarin in February 2017. From this union has just been born Raven, a new range of products spiked by of artificial intelligence. Raven products, the most amazing is probably the Raven R: a funny robot that can move on six different axes. It looks like an articulated arm with a led screen placed at its top, much like a face at the end of a long neck. This little robot, which is not yet commercialized, can therefore move and express emotions on its screen in response to user commands and fulfills the tasks assigned to a personal assistant. The second robot, Raven Q, is still in concept. It should, in addition to what Raven R already knows how to do, be able to move to the homes of its users and possibly perform video surveillance tasks. These two robots are designed on the artificial intelligence platform that is integrated with Raven H, the most successful product of the range. 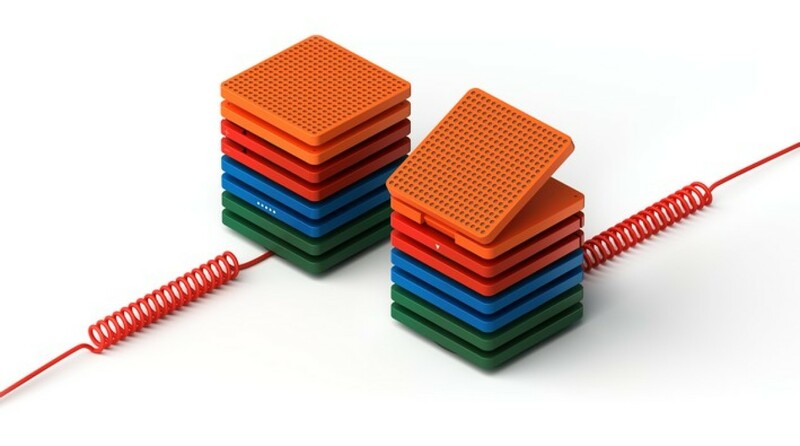 Raven H is a smart speaker with an original look. It consists of eight colored plastic bricks, the highest of which is a touch and audio LED controller that can be detached from the speaker. The user can thus control the speaker from a distance (in Wi-Fi) to the voice – thanks to the built-in microphones – or the finger. The base of the Raven H contains for its part a speaker, but also microphones and a rechargeable battery. The Raven H will be marketed next month in China at a price equivalent to 218 euros. Depending on its success, it may be proposed outside the Middle Kingdom … because the leaders of Baidu have global ambitions.